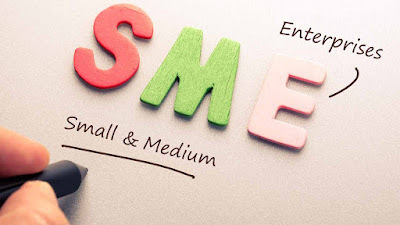 If small and medium scale businesses are rated as the wheels of every economy, with huge estimate that 96 per cent of all businesses in Nigeria are Small and Medium Enterprises (SMEs), compared to 53 per cent in the United States and 65 per cent in Europe, then the nation’s journey to economic revival and survival is really in absolute struggle. Of course, it will not be difficult to prove the assertion, going by the challenges that have lingered over the years, which create growth and development problems for small businesses. The lack of access to credit, decayed infrastructure as well as the headache of insecurity and unstructured nature of the players, among other difficulties are real. Not to be wished away is the fact that there have been series of strategies, programmes and promises developed to make this very critical sector work, with the outcome still remaining less than ideal. The argument is: if the huge percentage falls under the small business segment, then the proportion of the entire nation’s populace left stranded, excluding the completely jobless, and the underemployed, will paint a vivid picture of the troubled state of entrepreneurial development in the country. According to the World Bank report, about 70 per cent of Nigeria’s estimated 150 million people live on about $1 per day, that is, about 105 million Nigerians live below the poverty line, with 35 per cent of this number classified as living in absolute poverty.